Chicago, October 3, 2018 – ​​​The International Association of Women (IAW) recognizes Nancy Alexander as a 2018-2019 Influencer. She is acknowledged as a leader in business. 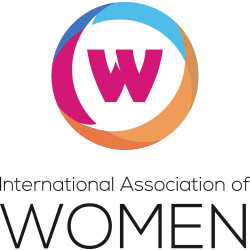 The International Association of Women (IAW) is a global in-person and online networking platform with nearly one million members, 1000+ in person and virtual events, over 100 Local US based Chapters and International Chapters in several cities in China. Nancy Alexander began her highly successful career in the pharmaceutical sales industry more than 20 years ago at Teva Neuroscience, where she focused on products for the treatment of multiple sclerosis and Parkinson’s Disease. “The company went through a merger and I lost my job, which can be an even bigger challenge if you do not have a network of support,” Ms. Alexander said. “I then went into home automation sales, working for a company that manufactured the wireless devises.” She stayed with Centralite Systems, Inc., for two years and then landed a position back in pharmaceutical sales, which is truly where her passion lies. Working with managed care can be challenging, especially with the industry's changing landscape but I love the teamwork and collaboration and I enjoy helping others achieve success. Ms. Alexander uses her skills in contract negotiating, communication, leadership and project management, as well as her expansive product knowledge, to ensure the company’s products are easily accessible to the appropriate patients via exceptional insurer coverage. “Working with managed care can be challenging, especially with the industry’s changing landscape but I love the teamwork and collaboration and I enjoy helping others achieve success,” she said. As a single, working mother, Ms. Alexander also admits it’s challenging to balance her home and work obligations but, like so many women, she makes it all work. She volunteers at her church and has always been involved in her children’s school. She was the PTSA president and now sits on the board of the Consortium for Educational Enrichment of Dawes, a fundraising platform for the school district.